For teens ages 13-18 considering attending iD Programming Academy or iD Game Design & Development Academy, our studio tours are a major selling point. 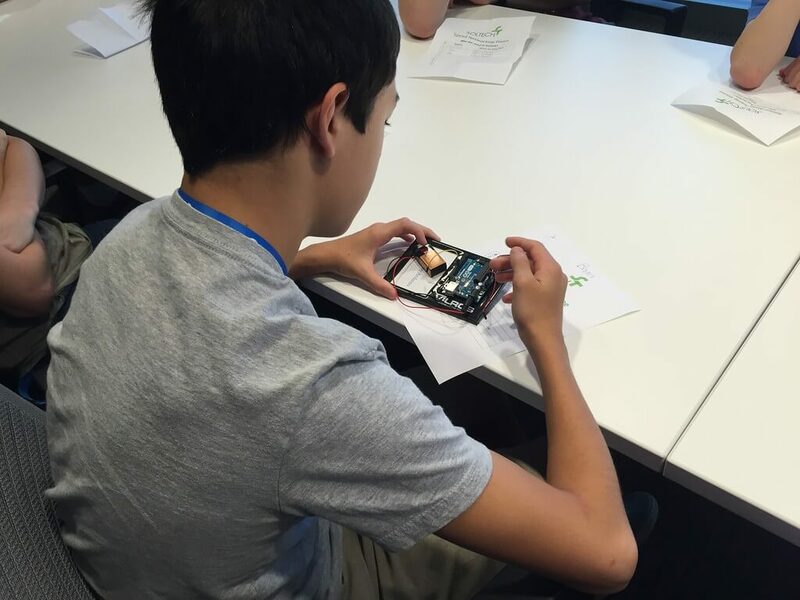 These off-campus excursions bring budding programmers and game designers face to face with STEM professionals and provide unique tech industry insights. Students get a taste of what it's like to be fully immersed in their dream career! 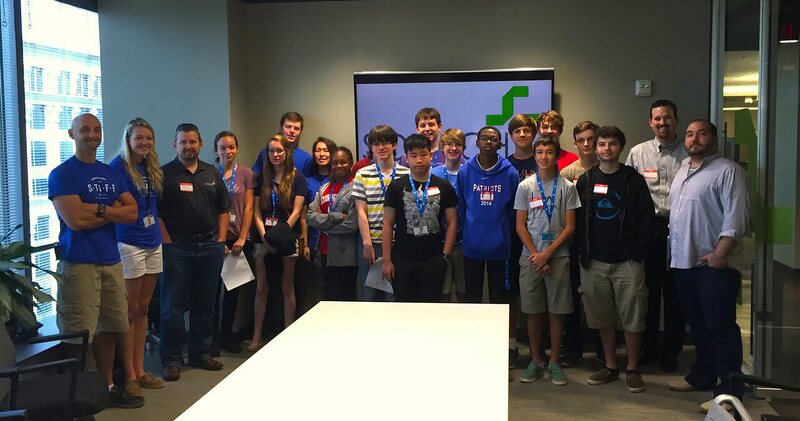 Last week, students attending iD Programming Academy held at Emory University in Atlanta, GA had the opportunity to tour SolTech, a custom software company that designs, builds, and supports applications to help other businesses. The company works on web apps, mobile apps, system integrations, business automation, and data analytics. As our students headed up to the 24th floor of the (very prestigious) building that houses SolTech, many were probably unsure of what to expect. However, according to "Joker," the Academy Director, the environment was "enjoyable and welcoming" and students were immediately made comfortable by their host and tour guide, Jeff (Account Executive and Staffing Services). Once inside, students played a scavenger hunt game where they had to find ten people in the office and ask them for their names and job descriptions. This made for a great ice breaker and exposed students to the broad spectrum of roles within a software company. Next, our crew gathered in one of the conference rooms for a presentation about SolTech and learned about some of the technologies for which SolTech has written code. The presentation also included programming information into an Arduino board (just like the ones we use in our engineering courses). 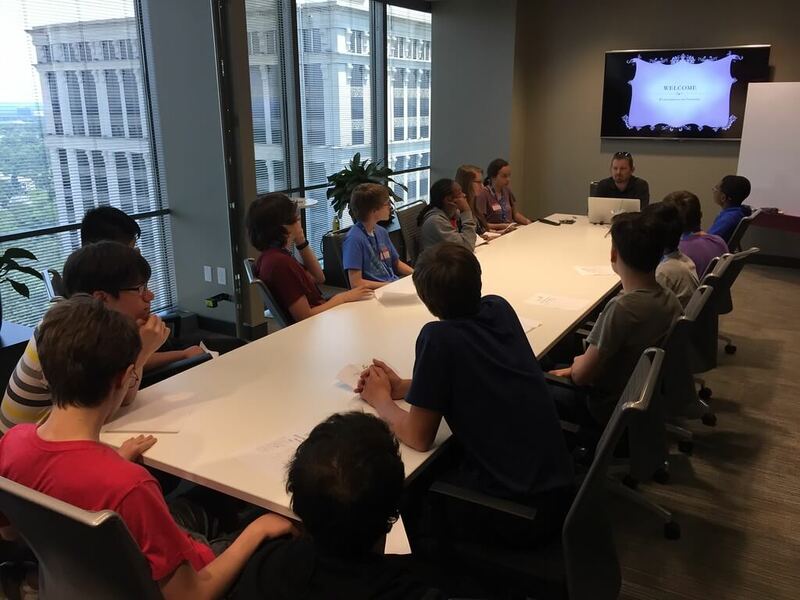 SolTech executives answered various tech-related questions and discussed the future of technology and coding, providing our students with unique insight into their field of choice. During the visit, students also had the chance to explore the rest of the hip, modern office space, complete with exposed brick walls, flattering designer lighting, and casual café tables--an aesthetic that is becoming increasing popular in the tech industry. In addition to looking forward to a job they love in coding, it seems that students can also look forward to a cool, comfortable work environment. Double win! Check back next week for another Academy studio tour recap and additional tech industry insights!